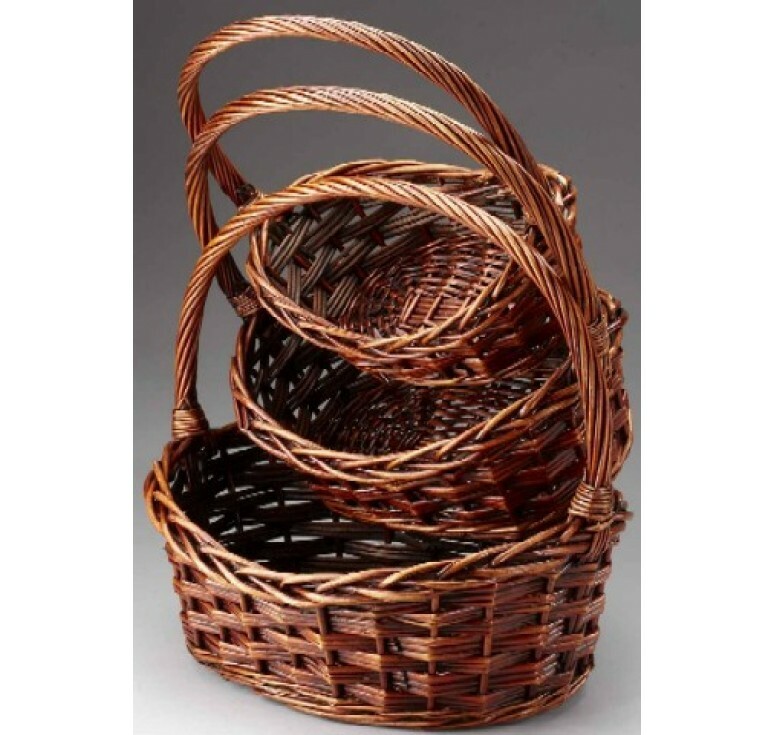 These fabulous oval baskets are beautiful in their natural state, but if you're looking for that something extra to add a little spice to your decor, choose from our selection of painted colors and push your limits to the max. 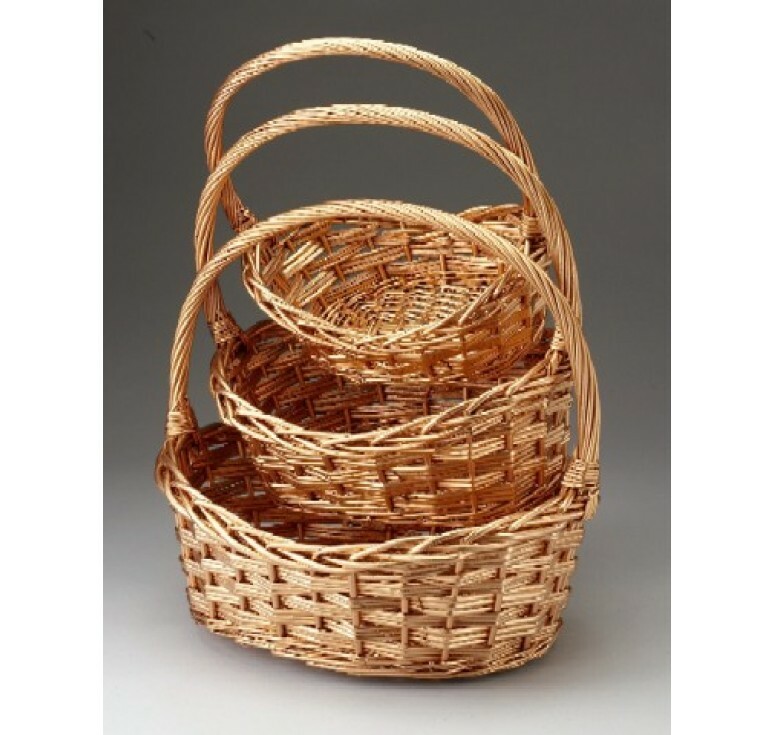 These baskets feature woven willow branches in an oval shape with fixed twisted handles and are sold in sets of three. Measurements for largest: 18" x 12.25" x 7" Measurements for smallest: 13" x 8" x 4.75"
Please choose natural or painted color from the drop down list. Pictured in copper. 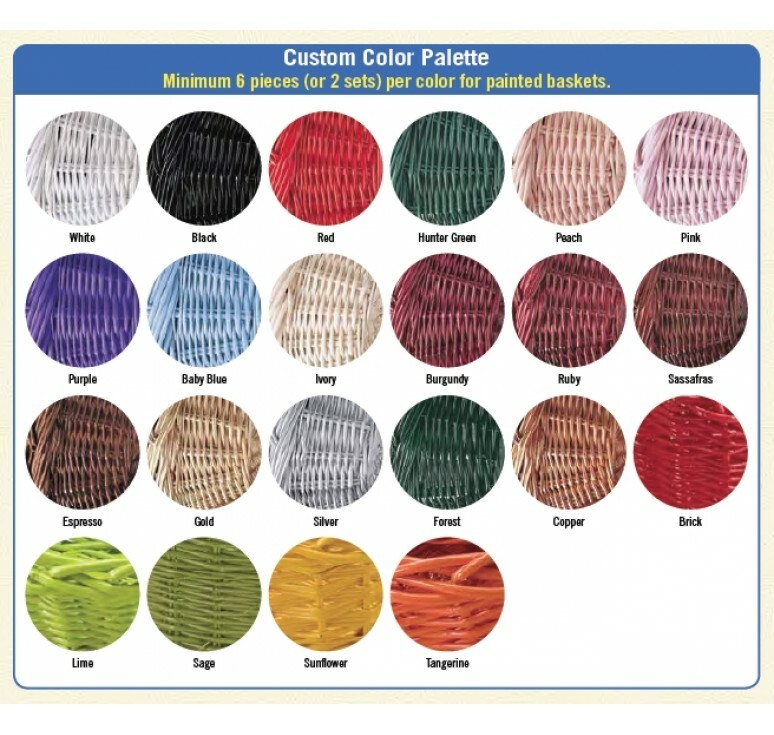 Minimum 3 sets per color for painted baskets. Buy 8 sets and save $.